Science is skepticism. If someone isn't a skeptic, then they're not a scientist: they're a politician. So the point isn't who is on this list, but who isn't. 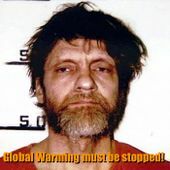 While I believe people are entitled to their own opinions (pro/con on this issue), if someone is dismissing Nobel laureates and career scientists like Freeman Dyson, Ivar Giaever, or the ex heads of NASA, Earth and Atmospheric Sciences at Georgia Institute of Technology, Massachusetts Institute of Technology, and so on, then I want to see their pedigree, or evidence for thinking those folks are ignorant deniers that don't know what they're talking about. People that argue consensus are missing that appeals to consensus is called either the [fallacy] or the [to authority] fallacy. Consensus/popularity is politics. Science is skepticism. But if people are using those arguments, I'd like them to explain what they know and how their pedigree compares to some of the following folks, otherwise they're just cherry picking, which is another logical fallacy. Claude Allègre, French politician; geochemist, emeritus professor at Institute of Geophysics (Paris).